Hitmarkers + Hitsounds similar to Quake 3 / CoD. 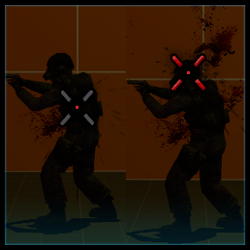 You can use different files to distinguish between normal hits and headshots (built-in hitmarkers are white for normal hits and red for headshots). Every player can set their own preferences and save them.